The “DOGHOUSE” is a 61 foot custom Carolina boat. Our boat is inspected to carry 24 people, and we have ample room for everyone. The boat is equipped with plenty of heat and AC. We have a spacious bathroom, with a shower and hot or cold running water. The boat is available for 4 hour inshore trips or full day offshore trips. 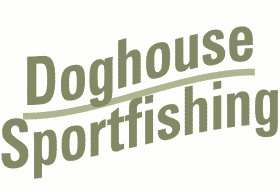 Large, clean and very comfortable, Doghouse Sportfishing is perfect for bachelor parties, bachelorette parties, or wedding parties.